Is Your Process A Rose Or A Dandelion? Comments Off on Is Your Process A Rose Or A Dandelion? 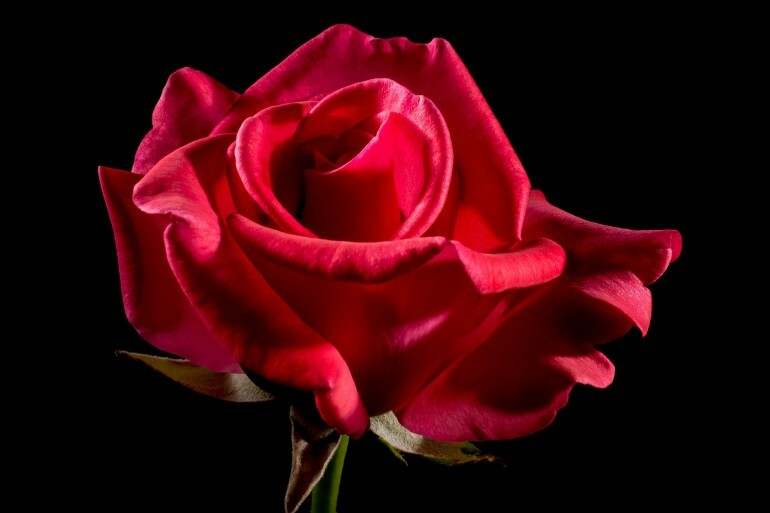 Roses are some of the most beautiful, and the most coveted, flowers grown on earth. But, that beauty comes at a cost. Pulling out your iPod so your rose can enjoy the sonatas of Beethoven and Mozart. But only their early stuff…you’re rose is a classic, after all. If you follow each of these steps consistently and without fail, then your rose may reward you with one or two blooms. In fact, you may even get to enjoy these blooms for up to two weeks…before you have to start the process over again, that is. Dandelions don’t need perfectly pH-balanced soil. They don’t need perfectly consistent watering that only occurs at the perfect time of day. And, if you try to treat them to afternoon alfalfa tea and the occasional Beethoven sonata, they’ll only laugh in your face. Compared to roses, dandelions can grow nearly anywhere, in nearly any conditions. And, trying to kill them, seems to only make them stronger. 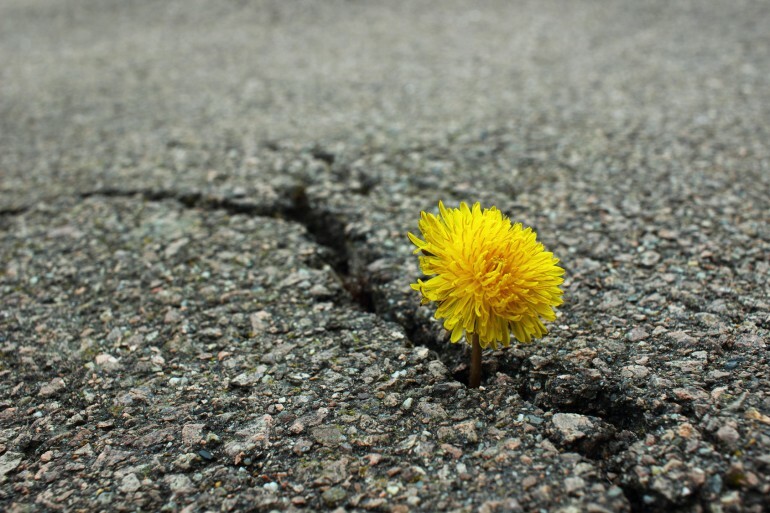 This is because, regardless of what’s happening in their environment, dandelions will find a way. Now think about the process your team uses to deliver software each day. Which of these flowers feels the most familiar to how your team works? Is your team’s process a rose, or is it a dandelion? We’ve all seen rose-processes. Rose-processes are filled with complicated rules and procedures that must be adhered to. They demand the full attention of the teams who are implementing them and create a plethora of roles and ceremonies that must be strictly followed if they are going to work. But, when they do work, they are beautiful. They create a clean and streamlined environment in which your team can ship software, and they stay that way as long as the environment that you’ve created for them remains stable and constant. Which, if you’ve ever worked in any technology environment, you know the words ‘stable’ and ‘constant’ typically aren’t the words that spring to mind to describe it. Dandelion-processes, on the other hand, can thrive in nearly any environment. This is because rather than expecting the environment to adapt to their needs, dandelion-processes adapt themselves to the reality of their environment. A dandelion-process demands little of the team who chooses to practice it, often no more than a few loosely defined roles and ceremonies. In fact, dandelion-processes often prescribe little about how these roles and ceremonies should even be implemented, instead leaving it up to the team to implement them in whatever manner is most likely to succeed in their environment. In fact, dandelion-processes are so robust that they always seem to find a way to crop back up even when an organization tries to stomp them out. Perhaps it’s the natural resiliency of a dandelion-process that permits this or perhaps it’s simply the insistence of the teams who practice them to want to use a simple process that works, but in either case, dandelion-processes have a way of always coming back. You may think that I’m hinting at certain processes as rose-processes and other processes as dandelion-processes, but this actually isn’t true. While certain processes may naturally find themselves gravitating towards a rose’s fragile beauty while others may naturally gravitate towards a dandelion’s robust utilitarianism, the truth is that any process can be rose or a dandelion. It all comes down to how each team decides to practice the process they choose to adopt. Given enough time, even the most lightweight and minimalist of processes can gradually accrete enough supporting processes and value-adds to incur the fragility of a rose. While, when boiled down to their essence, even the most complex processes can start to show dandelion-like qualities. The secret is to understand that whatever process your team adopts, that process is a means to ship great software…not a goal. When the process becomes your focus, any process has a tendency to grow to demand the constant nurturing care of a rose in order to bloom. But, when you remember that the process is there only to support your team and its goal of a shipping software, then you can be sure to keep your process lightweight, robust, and capable of thriving in even the most unidealistic of situations, just like the dandelion. Want to know more about creating a process for your team that can withstand the reality of your environment? Check out my course, Agile in the Real World, for tips and techniques for making agile really work in your organization. The beginning of a Scrum adoption is always an exciting time for teams. The promise of what the future holds, a new way of working, and the possibility of a better way to do what the team loves always holds great potential. But in this excitement, many teams rush into selecting a tool that will help them run their projects in this brave new world. This isn’t surprising, there’s no shortage of agile project management tools available and many of them shine in demos. But choosing a project management tool too soon confines your team to that tool’s approach, rather than allowing your team to discover the approach that works the best for them. This can lead your team down the path of confusing discussions about the “right way” of operating and how the team can warp their process to meet the expectations of the tool. All of which can lead to a lot of unwarranted frustration with the team’s entire adoption of Scrum. So how do you avoid becoming a slave to your tool? Instead of choosing a tool too early in your Scrum adoption, begin your process as lightweight as possible. This can be done by simply creating a Scrum board on an empty wall in your team area from painter’s tape and a few pads of sticky notes. When choosing the columns for your board just ask yourself what steps your team must take to deliver a piece of functionality to the market. We can assume that each feature must be coded, but what happens then? Is it peer reviewed by another member of your development team? Is it tested before release? Whatever your delivery flow is, capture each step as a column on your Scrum board. Creating your board by hand gives you the flexibility to map out exactly what your delivery process looks like so it’s visible to everyone involved. Only after you’ve discovered the process that works for your team should you consider finding a tool that supports that process. But there’s another benefit to managing your team’s process by hand. Creating a board manually also requires your team to take responsibility for ensuring that the board is updated and always reflects the current state of each piece of work in progress. Is that authentication routine really still in progress? I thought it was tested yesterday? And what about the latest database migration scripts? The board says that they’re in progress but are you really working on them? Weren’t you busy with a production issue for the last two days? By forcing your team to take responsibility for updating the board each day you increase the odds that the Scrum board accurately reflects the work in progress. Too many teams take a passive approach to their adoption of the Scrum Framework, relying on their tooling to manage the heavy lifting while they change very little about their way of working. The obvious result of this is that if the team changes very little about how they actually work, then very little actually changes. But by taking a hands-on and manual approach to tracking their project the team is forced to take responsibility for the progress they make day to day and to face tough questions when that progress isn’t what they expected it to be. But there is potentially an even bigger benefit to skipping an electronic tool early in the team’s adoption. This is that the natural limitations of a physical board drive a simplicity that simply can’t be matched by an electronic tool. Electronic tools breed complexity with their multitude of options and seemingly infinite ability to capture detailed information. But a physical board naturally limits your team to focusing only on what is critical to their process. Do the columns on the Scrum board really reflect each step that your team takes to deliver a piece of functionality? If items seem to stay in certain columns for days with no obvious progress then you may be missing a step. Or, maybe you’ll notice that you seem to be trying to fit a lot of information on the the front of a sticky note. What if instead you simply captured the essence of what you’d like that item to accomplish and let the rest of the detail naturally emerge from a conversation between the Development Team and the Product Owner. Many of the natural aspects of working with a physical board that are often initially considered to be limitations, turn out to be advantages when looked at from the broader perspective of the team’s overall process. The surge in popularity of Scrum and other agile approaches have resulted in a flood of great agile project management tooling on the market, many of which have some great features and amazing functionality. While these tools can add value to a team who has reached a certain level of maturity in their agile approach, they are almost always the wrong choice for a team just getting started on their agile journey. Use your team’s Scrum adoption as an opportunity to press the reset button and take the chance to discover the process that works best for them, rather than simply jumping into the process prescribed by the tool that demos the best. You’ll find that the long term result is a team that’s much more confident, happier, and effective in how they work. Because at the end of the day, your tool should support your process…not the other way around. It’s no surprise that the Scrum Framework is quickly becoming the framework of choice for teams interested in adopting an agile methodology. In fact, VersionOne’s 2016 State of Agile Development survey puts the number of teams currently following a pure Scrum approach for their agile implementation at 58%. Furthermore, this number increases to 75% if you include hybrid approaches such as those which combine Scrum with another agile approach such as Kanban to create Scrumban. But despite the simplicity of the Scrum Framework its adoption by a team new to an agile approach is still not for the faint of heart. If you’ve ever been on a Scrum team you’ll know that a large part of most team’s success is the presence of a skilled Scrum Master. This individual is responsible for ensuring that the team is adhering to the Scrum Framework in a way that helps them to deliver their product in the most effective way. 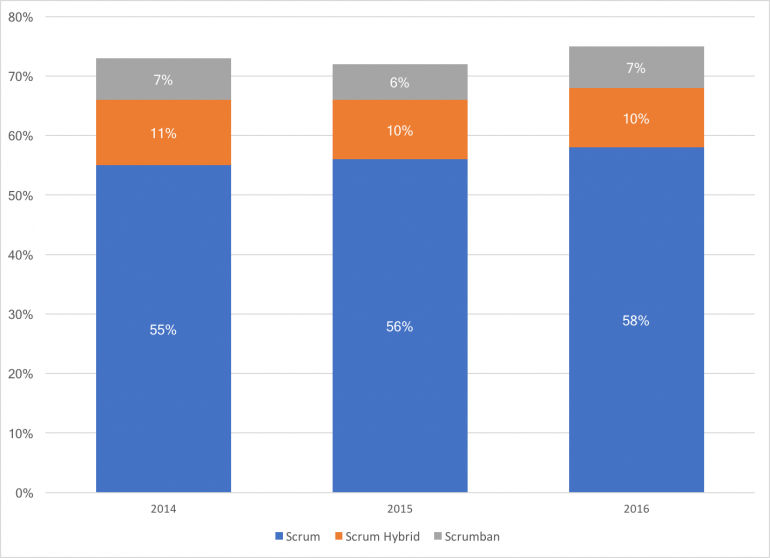 Given the growth in popularity of the Scrum Framework it should come as no surprise that this growth is also fueling an unprecedented demand for Scrum Masters. So much so, in fact, that the Scrum Master role has found itself square in the middle of LinkedIn’s list of The Most Promising Jobs for 2017. This list, culled from LinkedIn’s unique position to analyze job trends and growth, placed the Scrum Master role at #10 of the 20 most promising jobs for 2017. 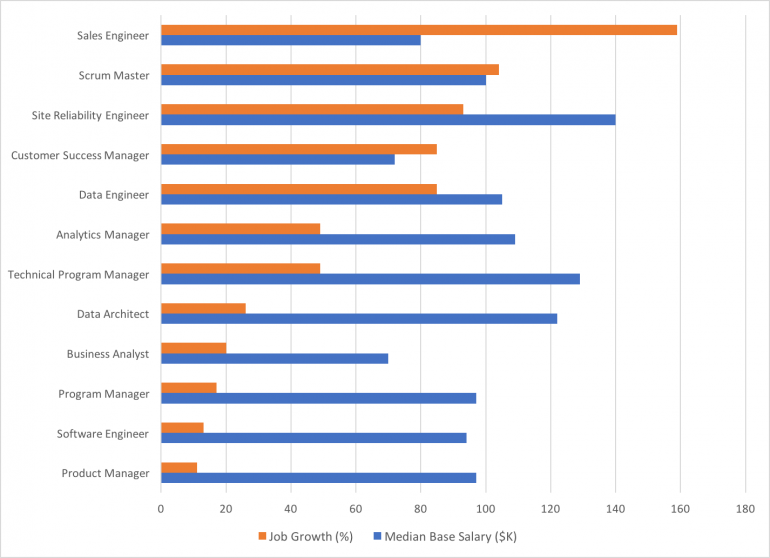 According to LinkedIn, this uptick in demand has given the role a median base salary of $100,000 USD and a year-over-year job growth of 400%, which will likely drive base salaries even higher as demand for the role continues to increase. If you’ve seen many “hot jobs” lists in the past then the dominance of jobs from the tech sector should come as no surprise. As a matter of fact, 12 out of 20 jobs on LinkedIn’s Most Promising Jobs for 2017 list come straight from the technology sector. So what makes the Scrum Master role any different? LinkedIn’s Most Promising Jobs list contains many roles which are highly specialized and thus can require years of developing both specialized skills and experience, such as a Data Architect or Site Reliability Engineer. But unlike these roles, the Scrum Master role can be very accessible for someone who already has a technical background which makes this path more of a lateral career move for many who are already in the tech sector. This is because some of the most important skills for a successful Scrum Master are an in-depth understanding of your organization’s software delivery process and a willingness to connect with and build relationships with those both inside and outside of your team. By combining an overarching view of the steps necessary for your organization to bring your product to market with a willingness to build relationships with those individuals who are involved each step of the way, you can build the skills necessary to clear the path for your team to keep them moving as efficiently as possible. And this ability to keep your team on a clear path is one of the most important responsibilities for a Scrum Master. This means that if you’ve already gained some experience in your organization’s software development ranks in a role such as a developer, tester, or designer and you like interacting with others in your organization then the Scrum Master role can be an attractive option for your career path and one that’s much more accessible than a highly technical specialization requiring years of training and experience. If this appeals to you then you’re probably wondering what it takes to land a job as a Scrum Master. Well, in addition to the skills that I described above you’ll need a strong understanding of the practices and components of the Scrum Framework and the ability to help your team learn to interpret the Scrum Framework in the way that’s the most effective for them. You’ll also need a thorough understanding of the broader agile concepts and methods that the Scrum Framework embodies so you can be sure that your team is always adhering to the spirit of the agile methods that underlie Scrum. But in addition to these skills, many candidates find that holding one of the more recognizable Scrum Master certifications can be a helpful step to getting their foot in the door. The most recognized of these certifications are the Scrum Alliance Certified ScrumMaster© certification, commonly known as the CSM, and the Scrum.org Professional Scrum Master™ I certification, commonly known as the PSM I. You can see the specific requirements for each certification on the respective website of each certification body but, in general, the path to each certification includes attending a multiple-day in-person training event and then passing a written exam testing your knowledge of the Scrum Framework. However, while multiple-day training events are available for both certifications, please note that in the case of the Professional Scrum Master certification attending this event is not required before taking the exam, though it can be extremely helpful. Without question, in addition to a strong understanding of the inner workings of the Scrum Framework and a well respected certification, the most important ingredient for success as a Scrum Master is the ability to interpret and ford the political waters of your organization to help your team to succeed. This ability can be gained only by an investment of time in learning the ins and outs of the environment and culture in which you will function as a Scrum Master. This is because regardless of the number of certifications they’ve earned or the depth of their knowledge of the Scrum Framework, a Scrum Master who unable to navigate the trade winds of their organization will ultimately be ineffective. The Scrum Master role can be an incredibly rewarding role for those interested in blending elements of technology, leadership, and business acumen in a way that allows them to help their team deliver great work in a way that’s both productive and enjoyable. And the recent surge in demand for individuals who are able to serve this role, combined with the lateral nature of moving into this role for those individuals who are already from a technical background paint a bright picture of the future demand for this role. All of these elements combine to make this role the ideal choice for anyone who is looking for the next step in their career or who is simply interested in trying their hand at something new. Does the Scrum Master role sound like the right next step for your career? Or, are you an experienced Scrum Master who wants to become more effective in you role so you meet the increased demand for your skills? If so, then check out the course series, Using the Scrum Framework, to learn how to set yourself apart as a Scrum Master and help your team reach their highest potential. A great Sprint Planning session sets the tone for the entire Sprint. Your team leaves the session energized, excited, and with a clear picture of how to hit the ground running in the new Sprint. But, what if things don’t go as well as you’d hoped? Then your team will leave the session tired and frustrated. They will leave without a clear idea of how to get started on their new set of work. They may even leave without any idea of what their goal for the next Sprint even is. If you’re a Product Owner, you may appreciate the importance of the Sprint Planning session but consider a successful planning session the responsibility of the Scrum Master. While this may be true, there are a few simple tricks that you can use to help your team get the most out of this critical ceremony. The Sprint Planning session is your opportunity to paint a clear picture of the upcoming Sprint and the objective that you hope to complete. But to do so, you must come prepared with both an engaging vision for your team as well as fully prepared to discuss the details of each Product Backlog item that you’ve selected to support that vision. The details that you provide will be essential for helping your team appreciate the depth and complexity of the items that you’ve selected. And, it's these details that will help your team give as accurate of an estimate, as possible. Just accept it, it's going to happen. Sometimes your team will throw an estimate on an item that’s higher than you expected. But when it does happens, how you react will play a major role in setting the tone for your relationship with your team. On many teams, the Product Owner is treated as a figure of implicit authority. For this reason, it’s imperative that you be acutely aware of your body language, facial expressions, or any other behavior that may put pressure on your team to reduce their estimates. Even if this pressure is inadvertent. Pressuring your team to reduce their estimates won’t reduce the actual work behind the estimate and will only make your job harder. This is because your own long-term planning lives and dies by the validity of the estimates that your team provides. If you pressure your team into giving inaccurate estimates then it will be your release plan that suffers in the end. Instead of applying pressure, take this opportunity to ask questions. Why is the estimate higher than you expected? Or, what hidden complexity exists in the item that you didn’t see before? Taking the time to understand why the estimate is higher than you expected may reduce your chances of being surprised in the future. In fact, it may even uncover an alternative path to achieving the same goal with less complexity. Above all, remember that the estimates your team provides are a forecast…not a commitment. Holding a team to their estimates creates a culture of fear. And, in such cultures, your team will invariably begin to sandbag their estimates to protect themselves from the possibility of occasionally under-estimating an item. Once this happens, your team will begin to continually pad their estimates to create a larger and larger margin of safety. The result, of course, being that the amount of actual work completed each Sprint will continue to dwindle. But, there's an even worse casualty of this trend. Learning can only occur when a team feels safe enough to embark on experiments and learn from their failures. If a team is punished for every mistake then all learning will eventually cease. And, without the ability to learn, your organization cannot hope to compete in the world of product development. The role of the Product Owner is easily one of the most important roles on a Scrum Team but is also arguably the most difficult. The Sprint Planning session is your opportunity to invest in your relationship with your team each Sprint. Because it's only with an ongoing investment in that relationship will your product see long-term success in the market. Have you suddenly found yourself in the Product Owner role and want to know how you can use this role to help your team be successful? Check out my course series, Using the Scrum Framework, to learn how you can help your team reach their highest potential and deliver a great product to market. There’s a saying in the US Navy that every sailor is a firefighter. This is because when a ship is threatened by fire, there are few worse places to be than trapped on a ship, miles from land, with no place to go. When this happens, regardless of your title, everyone on the ship becomes one thing and one thing only…a firefighter. A similar principle could be applied to Scrum teams. What If There's No Scrum Master? Scrum teams are comprised of 3 different roles…the Development Team, a Product Owner, and a Scrum Master. The Scrum Guide tells us that the Scrum Master is the team member responsible for keeping the team on track within the context of the Scrum Framework and for helping the entire team perform at their highest potential. This is great if you have a talented Scrum Master who’s always around to help the team. But what happens when that person isn’t around? Maybe she’s taken a vacation, has suddenly come down with the flu, or simply isn’t feeling up to the task? If so, then the responsibility of keeping the team on track must fall to the other members on the team. In times like these, every team member is a Scrum Master. Does your team seem to be falling behind your expected velocity? Or, are you in danger of missing your goal for the sprint? If so, then it’s your entire team’s responsibility to pull together to understand why your velocity is less than you expected. Or, to pull together to understand what you can do to accomplish your goal before the end of your sprint. Is there someone on the team who seems to be struggling this sprint? Or, is there someone who just doesn’t seem to be connecting with the rest of the Scrum team? Then the rest of the team must work together to help that individual find their footing and get back to producing at the level that they’re truly capable of. When the sprint is in trouble, it’s everyone’s responsibility to to help right the ship…not just the Scrum Master. Sure, the Scrum Master may be who we think of first as the individual responsible, but if the Scrum Master is unable to right the ship by themselves then she’s not the only one who suffers…the whole team suffers. So if everyone is at risk, then why shouldn’t everyone pitch in to correct the problem? Great Scrum Master's don't define truly high functioning Scrum teams. Teams in which every member is willing to contribute to the Scrum Master role define truly high functioning Scrum teams. This is because truly great teams know that when times get hard, every team member becomes a Scrum Master.